GET LOST IN: COLOMBIA: The Real Local Experience. 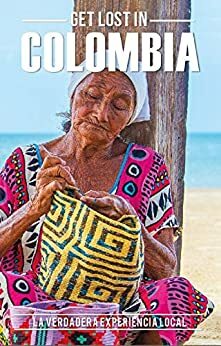 Get Lost In Colombia is a guidebook where you will find all the information about what to do during your 3-4 week long trip in Colombia based on the local experience. The information inside this travel guidebook will provide you with the best recommendations about places, restaurants, activities and traditional things that you have to do while you are in our country focused in a mix of local and traveler experiences.When you go to a new country to explore, it is better to experience it following recommendations from locals, as opposed to relying on guidebooks or internet resources written by other travelers. "Get Lost In: Colombia" was written by a local that has been working in the most beautiful Colombian cities and towns over the past three years, listening to the advice of locals and the experiences of travelers to be able to create a book that will enable you to have the most fulfilling experience during your time in Colombia. This is a guidebook made with love, hard work and beautiful ideas that you will definately enjoy while you are planning your trip, we want you to feel at home and return to your country with the best experience ever.